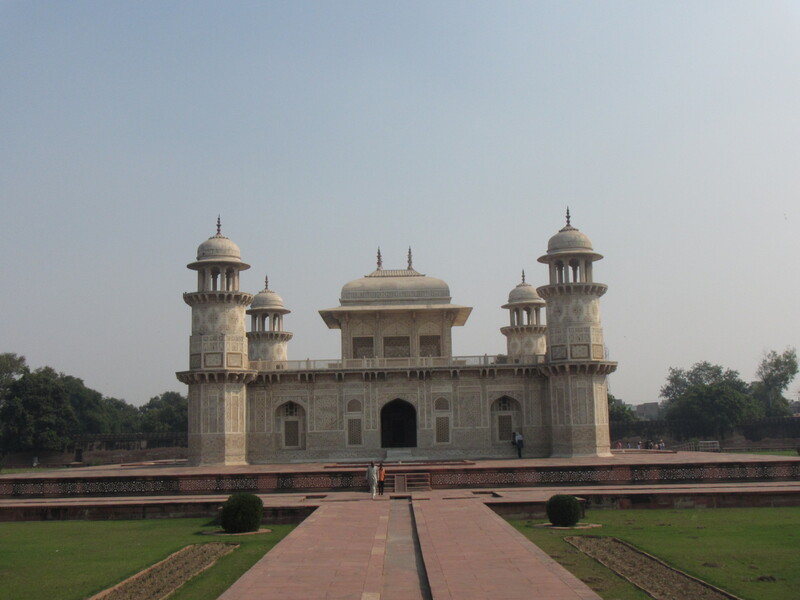 The ride to Agra took longer than expected and it was a miserable ride. 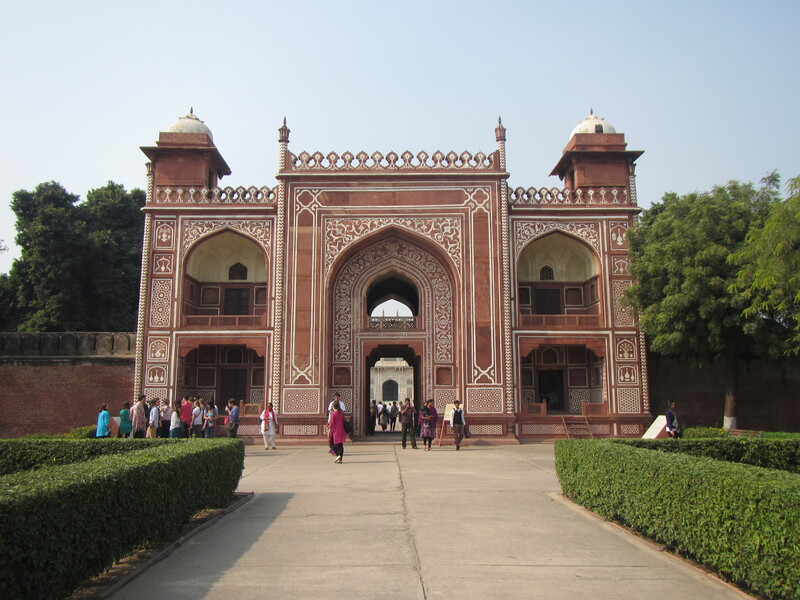 We left Delhi at 7am, on a bus that had 26 broken seats; therefore, each seat automatically reclined as the bus went over bumps, which all roads in India are full of, leaving no leg room for anyone. 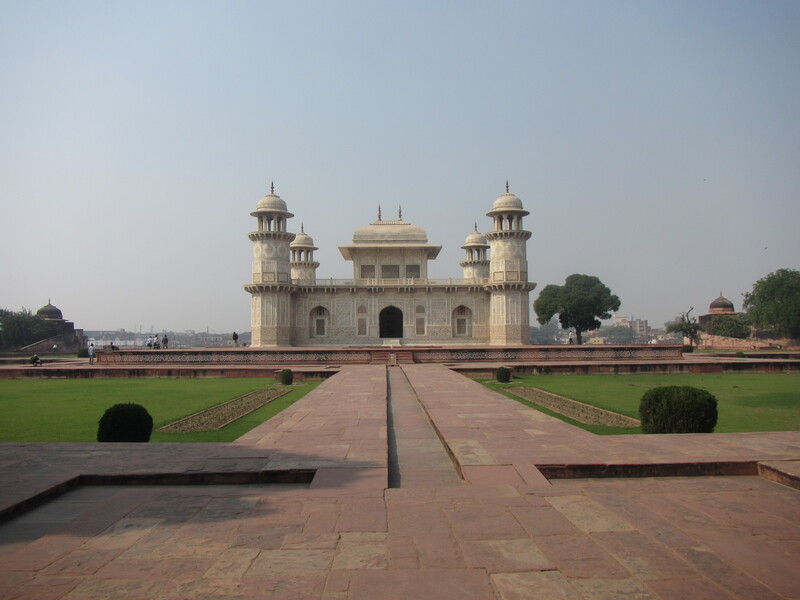 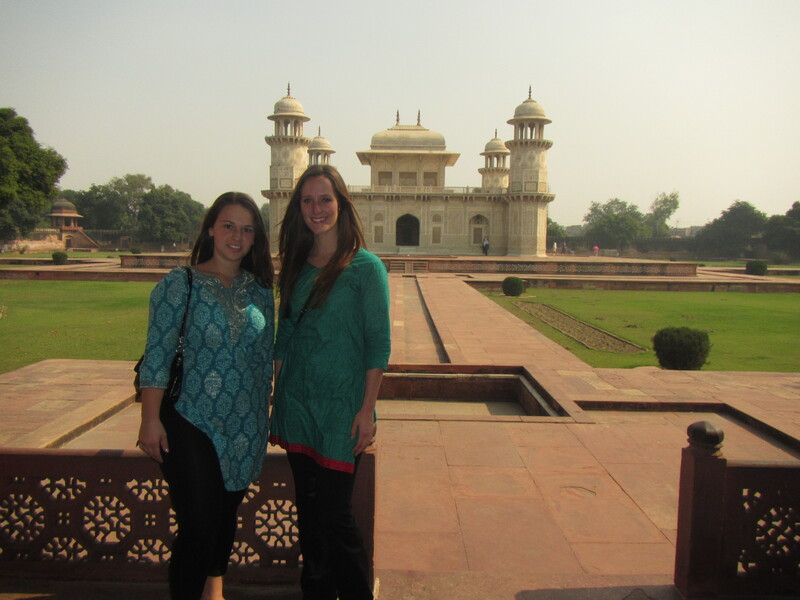 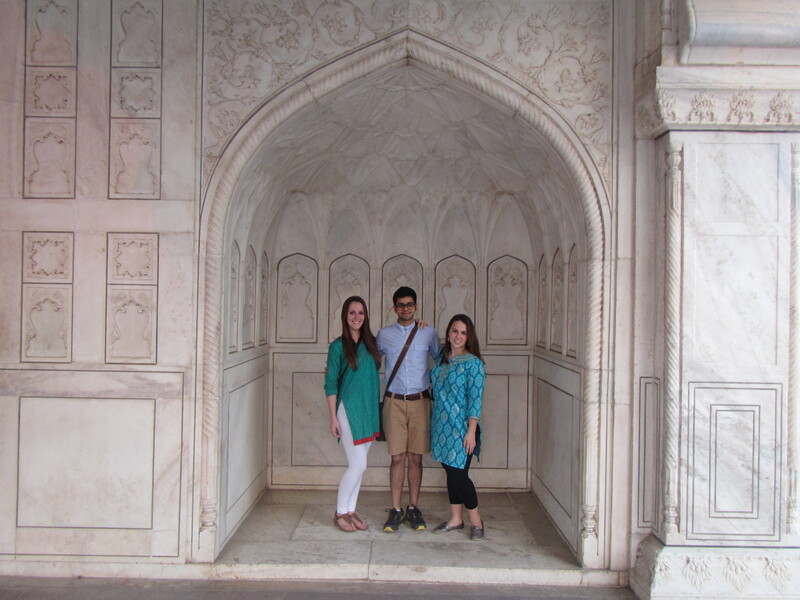 Around 1pm we arrived at the Tomb of Itimad-ud-daulah, a Mughal mausoleum often referred to as the “Baby Taj.” The tomb was built between 1622-1628 and the style was the second phase of Mughal architecture. 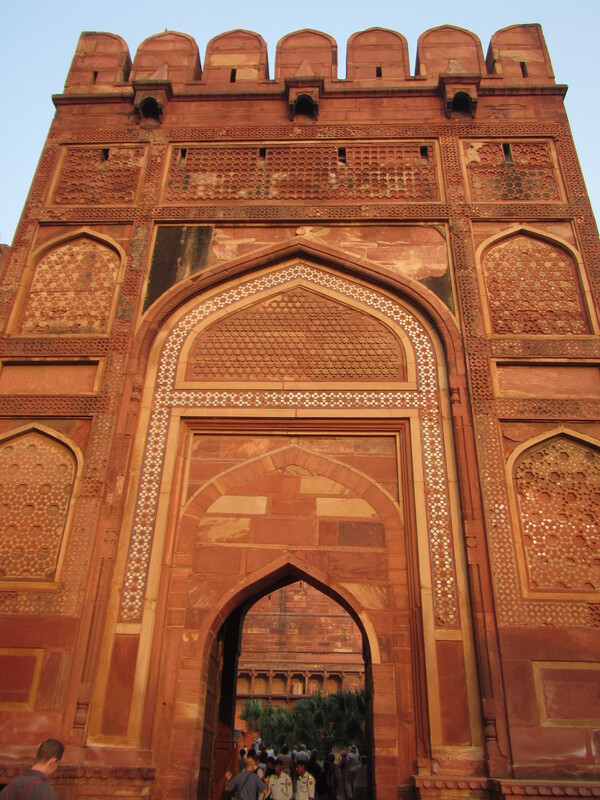 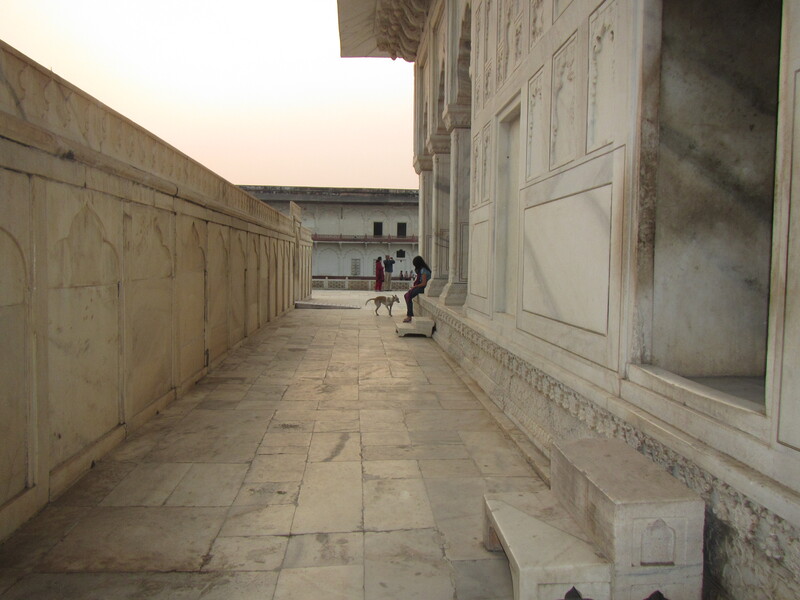 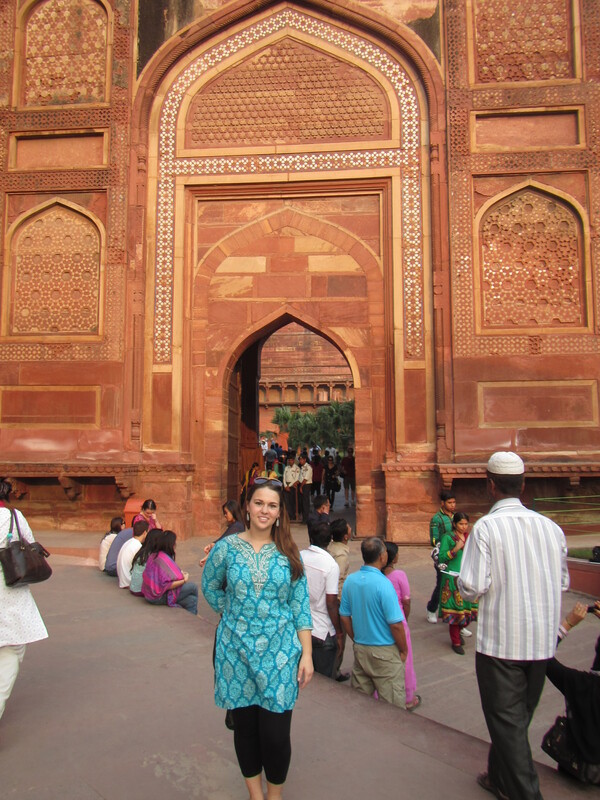 The first phase, such as Humayun’s and Akbar’s tombs were in red sandstone with marble decorations, to this construction which was solely done in white marble. 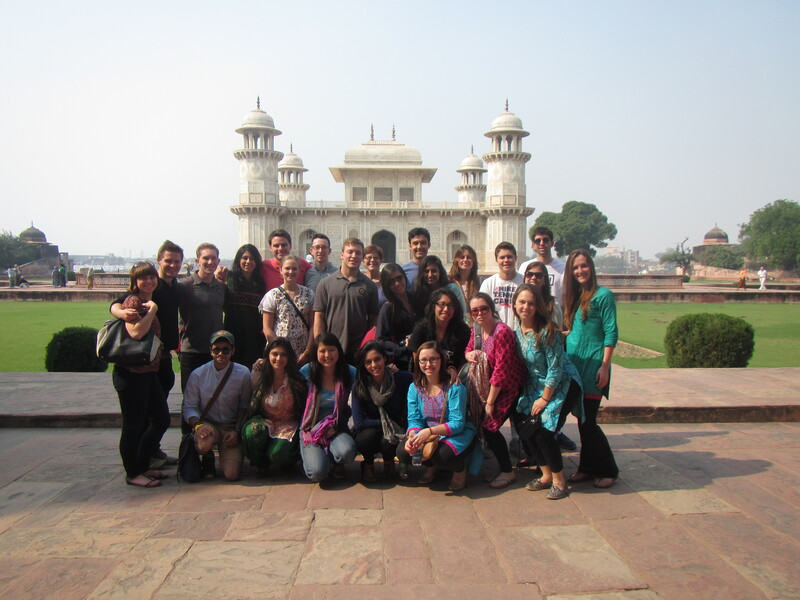 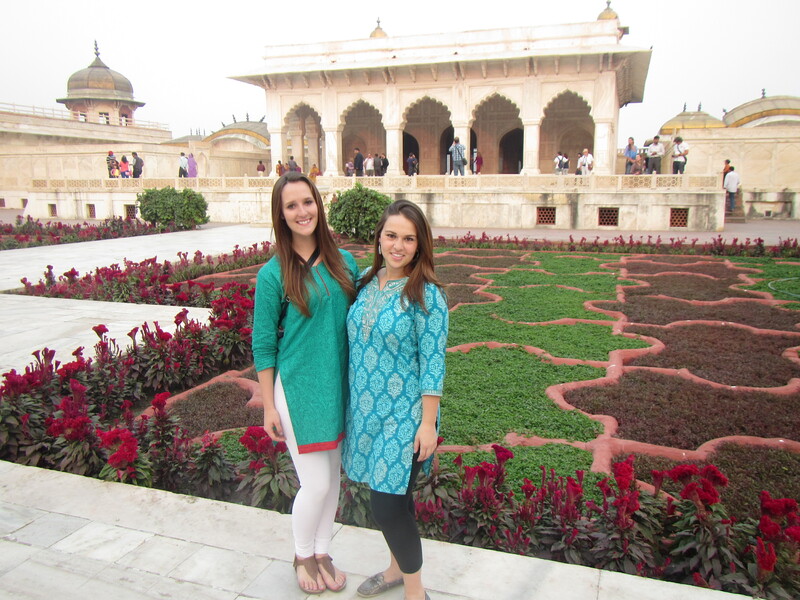 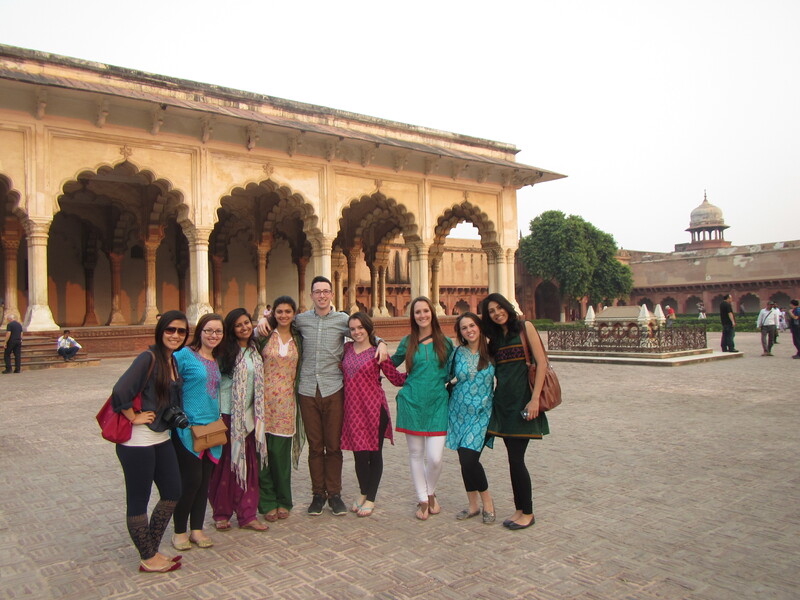 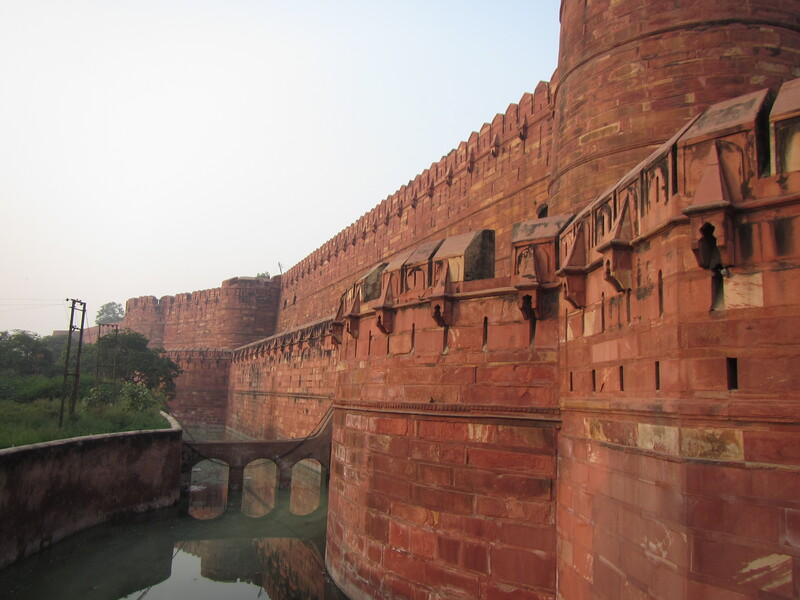 After our first site we grabbed a quick lunch, checked into our hotel and then made our way to Agra Fort, yet another UNESCO World Heritage sites. 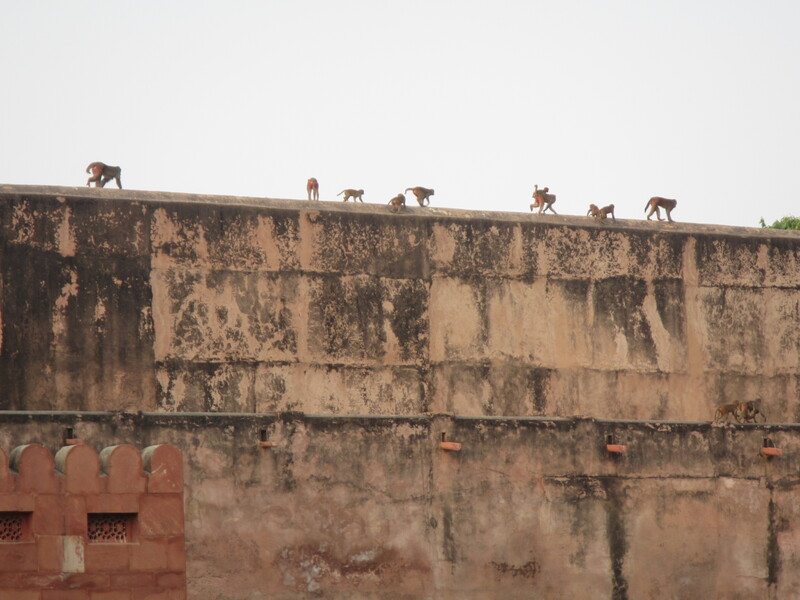 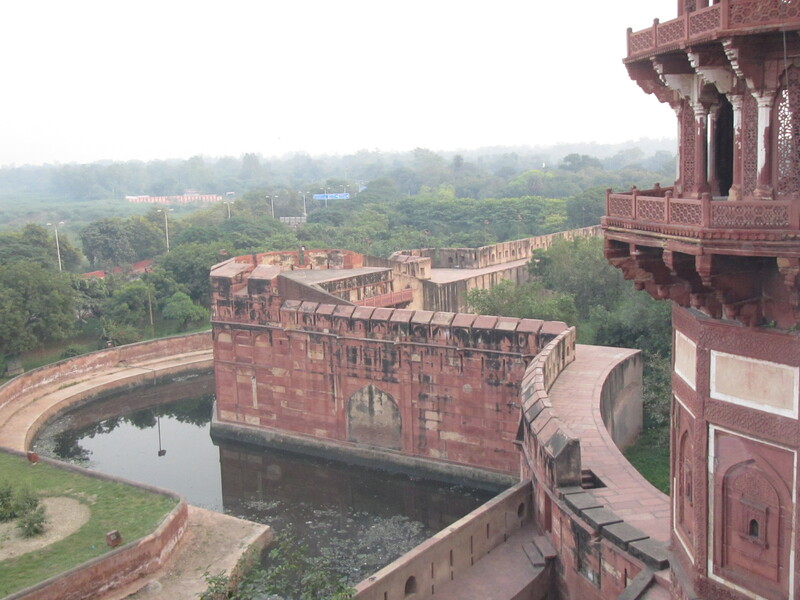 The fort was built as a walled city to keep out and confuse invaders. 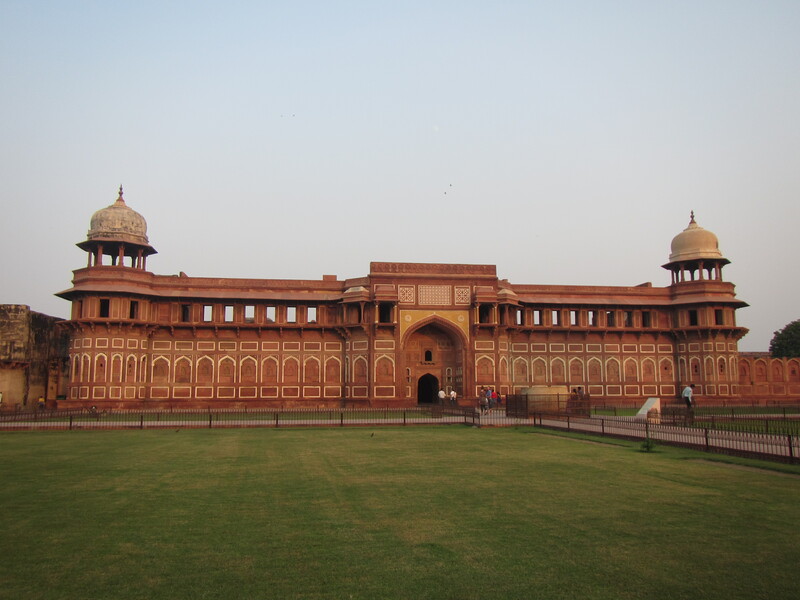 The fort was originally a brick fort and Sikandar Lodi was the first Sultan of Delhi to live in the fort from where he governed the country.